Ontario is currently using fourteen area codes. Ontario is utilizing five area code overlay plans, often called overlay complexes. Ontario recently implemented area code 548 to provide numbering relief for area codes 226 and 519. Area codes 365 and 437 were implemented on 3/25/2013. Area code 365 is an overlay of area codes 289 and 905 and area code 437 is an overlay of area codes 647 and 416. Ontario originally had two area codes when the numbering system was established in 1947. By 1953 Ontario experienced sufficient growth in population and telephone use to need an additional area codes. To meet this increase in demand the two original area codes 416 and 613, established in 1947, were split to form area code 519. Four years later in 1957 area codes 613 and 519 were split to form area code 705. These changes resulted in four area codes being utilized in Ontario by 1957. In 1962 area code 705 was split to establish area code 807. These five area codes were sufficient for more than 31 years when in 1993 area code 416 was split to form area code 905. Between 2001 and 2016 eight more area codes were established and put into service. These changes resulted in the fourteen area codes in use today. Area code 416 was put into service. In 1953 area code 416, along with area code 613, was split to form area code 519. In 1993 area code 416 was split to form area code 905. In 2001 area code 416 was overlaid with area code 647. Area code 613 was put into service. In 1953 area code 613, along with area code 416, was split to form area code 519. In 1957 area code 613, along with area code 519, was split to form area code 705. Area code 343 is proposed as an area code overlay of area code 613 effective 05/17/2010. Area code 519 was put into service. Area code 519 was created from a split of area codes 416 and 613. In 1957 area code 519, along with area code 613, was split to form area code 705. In 2006 area code 519 was overlaid with area code 226. Area code 705 was put into service. Area code 705 was created from a split of area codes 613 and 519. In 1962 area code 705 was split to form area code 807. Area code 249 is proposed as an area code overlay of area code 705 effective 03/19/2011. Area code 807 was put into service. Area code 807 was created from a split of area code 705. Area code 905 was put into service. 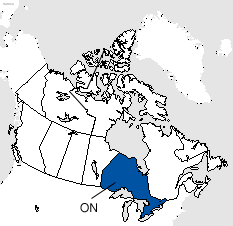 Area code 905 was created from a split of area code 416. In 2001 area code 905 was overlaid with area code 289. Area code 647 was put into service. Area code 647 is an overlay of area code 416. Area code 289 was put into service. Area code 289 is an overlay of area code 905. Area code 226 was put into service. Area code 226 is an overlay of area code 519. Area code 343 was put into service. Area code 343 is an overlay of area code 613. Area code 249 was put into service as an overlay of area code 705. Area code 365 was put into service as an overlay of area codes 289 and 905. Area code 437 was put into service as an overlay of area codes 416 and 647. Area code 548 was put into service as an overlay of area codes 226, and 519.